Palmistry Lab is a path breaking attempt in creating a holistic palmistry science that merges the ancient wisdom of great masters, modern counseling techniques and also the secret learning handed down hereditary to the head of the Palmistry Lab Sri. 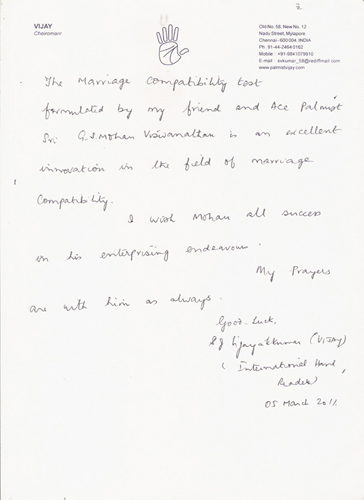 G. S. Mohan Viswanathan. 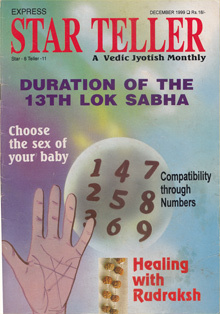 The unique feature of Palmistry Lab is the potent Aspectro Four-Dimensional Analysis technique that combines Marseilles’ Scholar Chirognomy, Chaldean Chirognomy and Holographic Solutions This powerful and innovative method is practiced only by Sri. 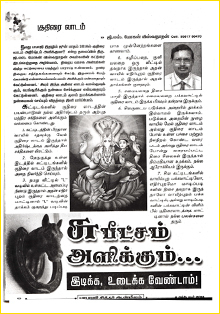 G. S. Mohan Viswanathan. Four-Dimensional Analysis is an ancient system of palmistry based on the sacred teachings of savants from India, Egypt and Europe. Only a Master can integrate the 3 interlinked vital apex points using Four Dimensional Analysis to provide amazingly accurate predictions of the future. Four Mysteries Holographically stored in your palm: WHEN? WHERE? WHO? HOW? Marriage is a life long commitment. Marriage Synastry is the comparison of the palms of the boy and the girl as practiced by Chaldean and Egyptian ancients. A happy and prosperous married life depends on the Juno - Hymen compatibility test, which can be accurately surmised only by an expert. Chaldean Numerology is closely related to the Vedic system and Quaballic tenets of the Jewish mystics. Chaldean numerology confers effective magical aspects gives clues as to levels of compatibility in all the relationships. Naming of a new born according to the Chaldean system is a wonderful personal development tool that can enhance all their relationships focusing on finding their own unique path for fulfilling life purpose; in education, career, personality, life goal, spiritual enhancement and financial security. It s a way of working with Chaldean numerology that incorporates numbers and the alphabet. Numbers are symbols which represent structure. Life is mathematics in vibration form. One of our basic needs is structure. Structure gives life form and form gives us safety. This process enables your energies more efficiently. Therefore names and numbers are your natural Image. Business Naming: Naming for Business, Companies and products will increase the Customer patronage; create satisfaction for Owners and Employees. Business needs Bold Strategies to stay relevant to WIN. Moreover, every business fundamentally needs Catchy Business Name, Logo, Color, Slogan, Tagline and caption. Your business name is a Base, Foundation and Structure of the business. Powerful business name and brands that create value for the customers and a stream of income for the business. Pick a strong business name will bring an inherent strength to your products with brand naming of your business and brand will be an asset that will last a life time, generating income and growing value. The logo is a brand symbol or business image, a business name and a representation of your business, products, and services. The logo of a business forms the primary means by which it is viewed and identified by the public. Therefore business needs right professional image and business identity. Having a business image is very important to enable success and growth. Color is a language, yet, it transcends the language barrier. It is a universal language exactly attracts all. Color leads us into virtually all realms of human life and culture. Color is the original light, code and core of your business. A word or sound has a meaning in consumer’s minds. In advertising originality is source. Your business slogan/caption/tag line should be a statement of such merit about a product or service that worthy of continuous repetition in advertising is worth while for the public to remember. Business Slogan/Caption/Tag line is best information about your business, products and Services. Palmistry Lab will offer effective and innovative crafted Brand Name / Product Name, Color, Logo, Caption, Business Slogan, and Tag line for your Best Brand Big Business. 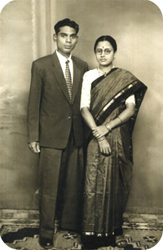 My parents are the bedrock of my success, knowledge and sustenance – professional and personal. My Father, Sri. Konda Srinivasa Iyer, has been my first and foremost guru. An internationally recognized palmist and recipient of many awards, his influence still governs my practice of palmistry. My mother Smt. 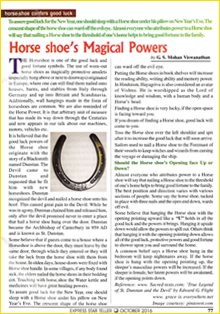 Vijayam Konda hails from a famous family of savants and is herself a renowned Vedic master numerologist. Her example guides me in my daily life. My gurus, Sri. Dr. Amarambedu Murugesan Mudaliar and Sri. 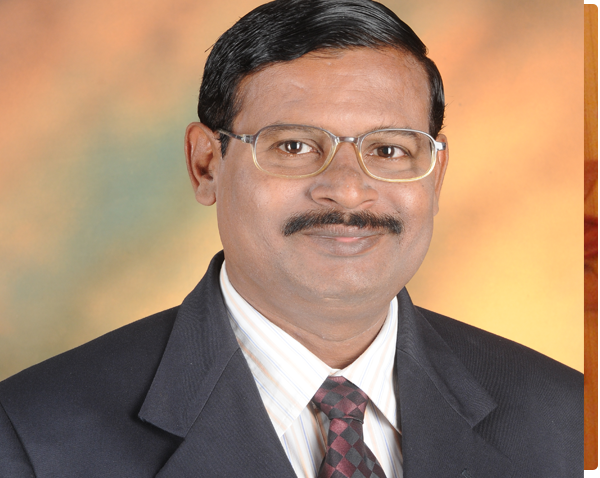 Satyamangalam Ramachandra Iyer, have helped me expand the depth and breadth of my knowledge. Sri. 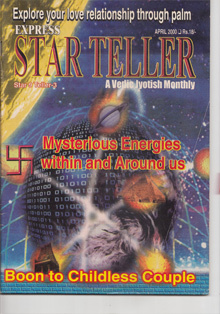 Dr. Ahmed Faizel famous chiromant of this century initiated me into Holo – Cosmo graphic Nishan. I am indebted to them for revealing to me the immeasurable mysteries of palmistry. As usual, the support of Prince Peter (www.vibranture.com) and Lisha Paul (www.bizlabb.com) in content creation, business design and idea development have been exemplary. 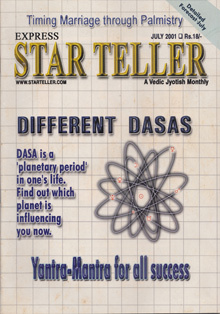 I would also like to thank Express Star Teller (Vedic Astrology Monthly Magazine – www.starteller.com) for permission to Reproduce my article. Palmistry is the science of studying the hands of human beings. This incorporates the external features of the hands, e.g. the shape, texture, suppleness, finger formation, nails etc., as well as the lines within the palm itself. A good Palmist should be able to draw a clear picture of your life from your hands and should relate this to you when reading your palm. Our hands are the basic instrument of touch and play a crucial roll in conditioning the brain, body and emotions to develop certain responses to the world around us. As infants we touch everything and the impressions we receive are recorded in our brain. The speed of the neurons between the nerve endings in our finger tips and those of the brain are too fast to quantify and it is thought, that because of this remarkably close relationship, impressions that are left on the brain are also recorded in the palms. 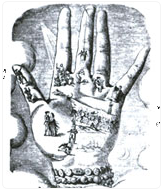 Palmistry was thought to have originated from ancient China approximately 3000 years B.C. 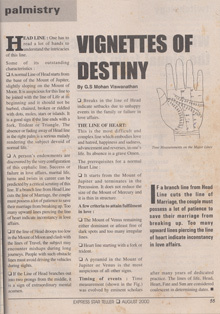 Details of palmistry can also be found in Indian Scriptures approximately 500 years B.C. The ancient Chaldeans, Tibetans, Sumerians, Babylonians, early Hebrews, Persians and Egyptians all studied palmistry. 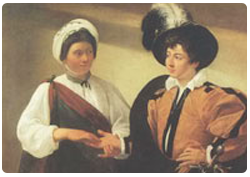 The Greeks were also keen students of palmistry and it is through them that palmistry found its way to Europe in the early 14th Century. 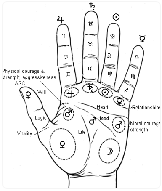 Palmistry can be divided into three main areas: CHIROGNOMY, CHIROMANCY and DERMATOGLYPHICS. CHIROGNOMY deals with the basic personality characteristics reflected by the size, shape and outward appearance of the hand. CHIROMANCY offers the ability to predict the past, present and future, based on the lines in the palms itself. DERMATOGLYPHICS is the name given to the study of the skin ridges and patterns covering the palm and fingers. This is used by police world wide to identify people through their finger prints. Amongst the famous names in palmistry were Aristotle, Alexander the Great, Claudius Galen, Anaxagoras, Hippocrates, Artemodoros of Ephesus and Claudius Ptolemaeus. One of the best known later day palmists was Count Louis Hamon, better known as "Cheiro" meaning 'hand'. Cheiro was the author of several books which predominantly followed the theories of two other well established authorities, D'Arpentigny (1798-?) and Desbarrolles (1801-1886). 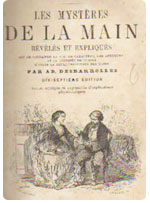 Desbarolles advertises His practice within Les Mysteres De La main. There is a school of thought which holds that the true basis of chiromancy is the study of the astral signatures. A 19th-century illustration will give the reader a clearer picture of them. It will be found on the opposite picture. On the Mount of Jupiter (index finger) the picture represents royalty : ambition, pride and worldly honors. The Mount of Saturn (middle finger) is shown as being related to mining: Saturn is thought to impart an aptitude for mining, prospecting and agriculture. The personal qualities it is associated with are independence and melancholy. The chiromantists of ancient times regarded it as a representative of fate. The Mount of the Sun (ring finger) has Apollo, with his lyre. The sun confers on people an aptitude for the arts, peace of mind, dignity, a spirit of justice and clarity of thought. The Mount of Mercury (little finger) is the lawyer. Mercury gives eloquence, diplomacy, business ability, skill, deviousness. The Mount of Mars is the mount which shows Spartacus holding a sword; it expresses the warlike spirit, physical and moral energy, and in general the will to resist and attack (the picture of Spartacus should be placed on the same line as the battle which is supposed to take place only in the middle of the plain of Mars, in the middle of the palm). The Mount of the Moon, symbolized by the sea, signifies a long sea-voyage to far-off places, as well as dreams, poetry, imagination, inconstancy. The appearance of the moon is itself constantly changing. In music, it represents harmony. The Mount of Venus, designated by the lovers, is the mount of love, a taste for form in art, architecture and sculpture, and for style in literature; it also is also associated with the soul, with tenderness, kindness, charity and grace, and in music with melody. The drawings which can be seen along the Life Line show, by means of the positions of the cradle the adolescent, the young man, the grown man the middle aged man, the old man and the grave, the various ages through which human life passes. For the chiromantist, the thumb is vitally important, because it represents will and logic. Logic, situated on the second phalange, is carrying a type of bullhorn, in order that its advice may be all the more easily heard by the will, which from its position on the first phalange, in a commanding posture, is issuing orders to Saturn (fate). The bracelet in the engraving represents the rascette lines, which some people also call the magic bracelet. G.S. 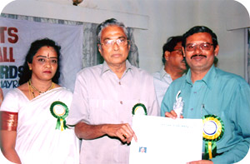 MOHAN VISWANATHAN is one of the premier exponents of the art of palmistry. 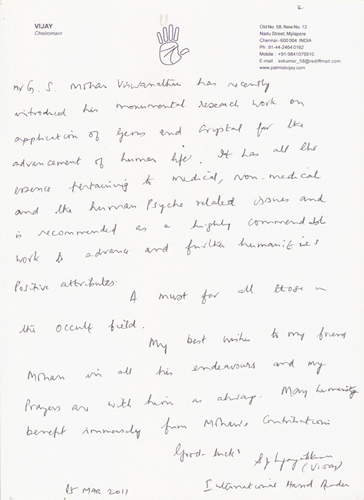 Mohan started reading hands since 1984 and has read over 45,000 pairs of hands and is one of the foremost authorities on palmistry in the world today. His rare combination of erudition and expertise in Marseilles’ Scholar and Chaldean Chirognomy, Four Dimensional Hand Analysis and Holographic Solutions make him much sought after by politicians, cine stars, royalty and celebrities, as well as by businessmen, professionals and housewives. In addition to Palmistry, Mohan has a diversified background and experience in Hand writing analysis, Numerology and Business Consulting. Beginning at a very early age G.S. 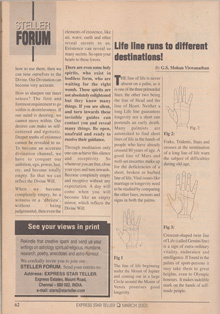 MOHAN VISWANATHAN was initiated into the great science of Palmistry and gained fame for making amazingly accurate predictions with his unique Four Dimensional Hand analysis method. In addition to personally reading palms of people from all walks of life, the master has also analyzed innumerable Hand Prints for outstation and postal queries. He has appeared in TV programs and has written for magazines of International repute. The master’s counsel has helped thousands to revitalize their lives in every way. Are you troubled and in need of guidance? Complete, inexpensive and effective remedies and solutions are available for all your problems. It’s never too late. Approach the master and seek guidance today. The palm of a man or woman is a Hologram of the universe, because it has the unique power known only to the divine. The Holographic solutions are based purely on the Etruscan, Chaldean and Aspectro combinations. Each mount represents a Chakra relating to life-sustaining organs and glands. The electro magnetic field of a man’s or woman’s palm radiates a spectrum of numeral dynamics. Holographic Solutions provide effective remedies for all your problems. Moreover, all solutions are inexpensive, simple and most importantly, last your entire lifetime. Favorite colors, flowers, numbers, crystals, directions, days and dates are prescribed for a lasting and powerful solution. These correspond to one’s inborn talents, temperament, periods of success and career aspects. The timing and the mode of major changes in life are actually mirrored in the palm. Such individual is attracted to a particular version of images represented by colours and flowers that have a natural affinity. Each individual has an auspicious direction. Holographic solutions are based on individual’s specific needs in life and onward progress. Palmistrically, Etruscan revelations form the quintessence of holographic solutions. Through generations, our family had been initiated into this knowledge. 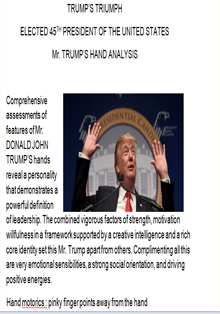 When a client comes to me, I not only analyze his palm, but also delineate his individual spiritual identity and mental state through the skills passed on to me by my father. Then suitable holographic solutions are recommended for the defects in the mounts and lines of the palm.
. Simple holographic solutions have provided great relief to many a people. The palm of a man or woman is a Hologram of the universe, because it has the unique power known only to the divine. Chaldean Numerology is closely related to the Vedic system and Quaballic tenets of the Jewish mystics.